Need to stretch your iPhone/iPad app budget? Here are 18 great iPhone, iPad and iPod touch apps that just went on sale. 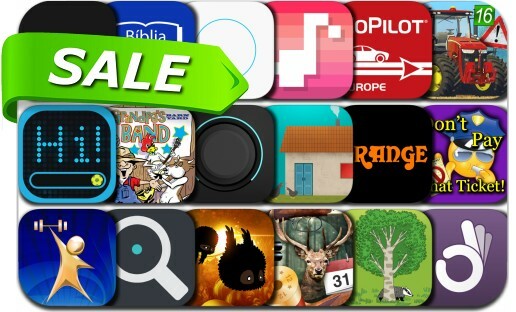 This app deal alert includes Badland, 2016 Real Farming Pro Simulator Multiplayer, LEDhit - The LED Messenger App, Device Finder for Fitbit, Samsara | Meditation and Yoga Timer, GymGoal 2, Solunar Calendar, Eye Exerciser, har•mo•ny 3 and many others.